Network structure has become increasingly popular in big-data representation over the last few years. As a result, network based analysis techniques are applied to networks containing millions of nodes. Link prediction helps people to uncover the missing or unknown links between nodes in networks, which is an essential task in network analysis. Random walk based methods have shown outstanding performance in such task. However, the primary bottleneck for such methods is adapting to networks with different structure and dynamics, and scaling to the network magnitude. Inspired by Random Walk with Restart (RWR), a promising approach for link prediction, this paper proposes a set of path based features and a supervised learning technique, called Supervised Random Walk with Restart (SRWR) to identify missing links. We show that by using these features, a classifier can successfully order the potential links by their closeness to the query node. A new type of heterogeneous network, called Generalized Bi-relation Netowrk (GBN), is defined in this paper, upon which the novel structural features are introduced. Finally experiments are performed on a disease-chemical-gene interaction network, whose result shows SRWR significantly outperforms standard RWR algorithm in terms of the Area Under ROC Curve (AUC) gained and better than or equal to the best algorithms in the field of gene prioritization. This material is supported by National Institutes of Health under the grant number R01LM011986. The content of the information in this document does not necessarily reflect the position or the policy of the Government, and no official endorsement should be inferred. The U.S. Government is authorized to reproduce and distribute reprints for Government purposes notwithstanding any copyright notation here on. 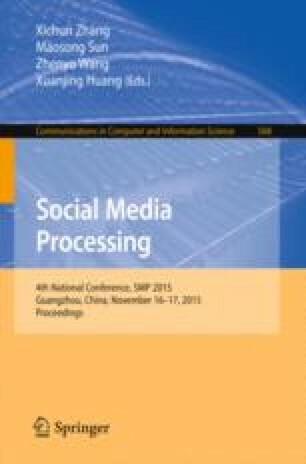 This work is also supported in part by the National High-Technology Research and Development Program (863 Program) of China under Grand 2013AA01A212, National Science Foundation Grant 61272067, 61370229 and Jiaying University Grant (“Collaboration Mechanism and Application in Social Networks.”).